Don't you wish you could go back in time just to truly appreciate where you were and what you were doing with your time then? I ponder about this sometimes. I spent two years in Melbourne. That city was a treat food-wise. I tried so many new things, experienced so many new flavours! Narrow lanes used to be dotted with little quaint cafes and the fruit and vegetable market lined with food carts, and it used to be but a pleasure to walk by, trying these treats on a free day. 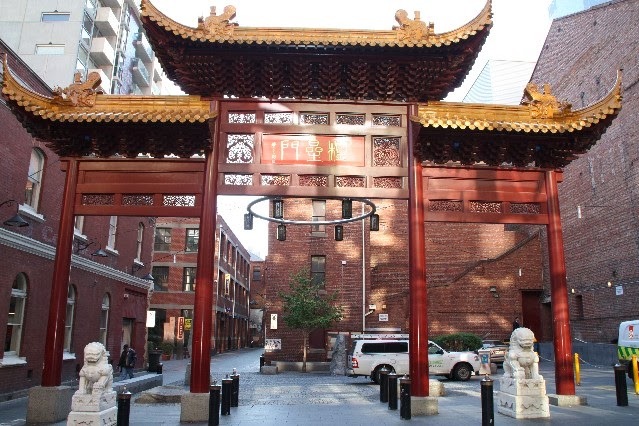 But of course every major city has to have its very own Chinatown, Melbourne included. We had a community kitchen in the lodge we stayed at. 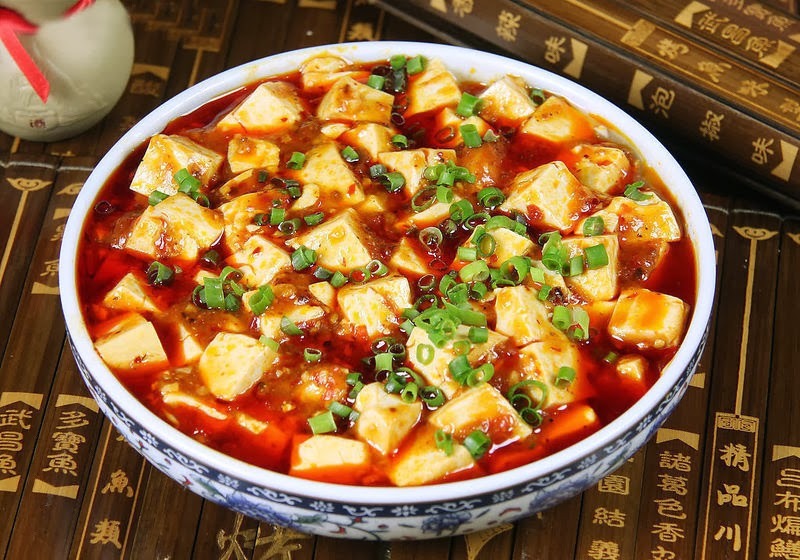 Every night after classes, the group of Chinese girls and guys used to collectively cook in the kitchen - sharing their sauces and veggies, and thereafter eating together. Laughter from the kitchen echoed into the halls and I used to envy the sense of togetherness they experienced over food! 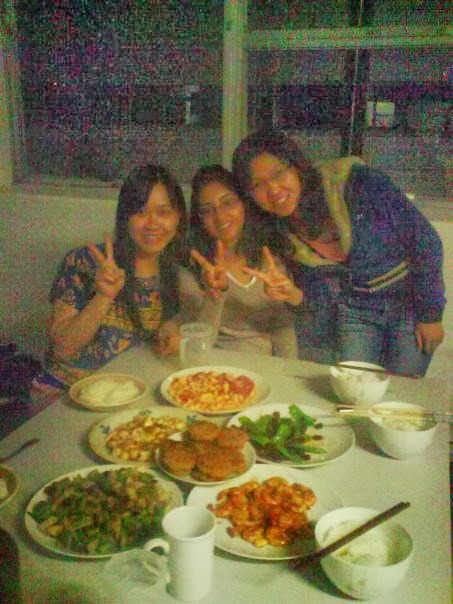 I too had some really lovely Chinese friends whom I met in class and who eventually introduced me to their cuisine. They invited me to join them in their cooking sessions - me, the only Indian amongst them all - I felt privileged! Their cooking, I noticed, involved the use of so many fresh healthy greens which were quickly tossed in a wok skilfully with chopsticks; a dash of salt here, a splash of sauce there, and voilaaaa, you got a great looking, colourful, nutritional dish right in front of you, from fridge to fork..or chopsticks in no time. in the community kitchen doing the famous V pose! There were days when cooking wasn't our calling, and my friends took me to Chinatown to dine at a restaurant there. A dish called Mapo Tofu jumped out to me from the menu because I love anything tofu. A lot of people say that if 'nothing' were to taste like something, it would taste like tofu...but it's a blessed ingredient according to me. Going by the approving nods of my fellow Chinese diners, I went ahead and ordered the dish. "But it's very spicy! ", warned Chao (whose English name was Laura); "Ha! Don't you know I'm Indian?! ", I retorted. When the food arrived (mine as always came after everyone else's), I took comfort in the glaring red of the Mapo Tofu - thinking to myself I'm going to enjoy the heat and kick from this dish in the Melbourne winter! Served with steamed starchy rice, Mapo Tofu came with ample silky tofu chunks, pork mince cooked in a greasy gravy of red chilli and black peppercorns - the combination made me fall in love! Though I must tell you - I didn't know the mince was made from pork meat. I never ate pork. So when I began eating the dish I felt something was odd and different, but didn't pop up the question to my friends, until I was conveniently halfway through. "Yes, yes, it is pork! ", they vehemently replied and sensed something was wrong going by my wide-eyed glare. "Oh well...", I said, before I continued eating the rest of it. Inside, I was a bit guilty but folks, Mapo Tofu was worth it. Today if I look at the picture bank from my time in Melbourne, I'm not very rich. I wish I clicked more, captured more memories, the small things and the big. But nonetheless, the memories are alive and all for me to revisit in my little head as and when I please. Until next time, Zài jiàn! Great post. After watching all the videos I would like to visit 'Sunny Ridge Strawberry Farm'.